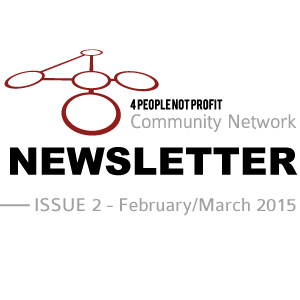 Welcome to the 2nd issue of 4 People Not Profit’s Community Network Newsletter. 4 People Not Profit have been premier event organisers putting on gigs and film nights in Saltburn promoting social justice and human rights issues for the last 7 years. We have now launched the community network initiative in order to try and create a network of all the left, environmental and community groups in the Teesside area to promote communication and collaborative working to get more people involved in community activism. At this crucial fragmented time in the U.K, where communities are driven apart by individuals socio-economic background, culture and race, we must try to come together and celebrate what unites us in our humanity and common needs of warmth, security, food on our plates, to live a life with meaning and to love and to be loved. We live in a time where very powerful individuals, politicians, corporate leaders, and media barons are wanting to promote an image of a divided Britain and for that matter the world. Where they can play us off one another and pray on our fears to create distrust and hatred for others who are different to us. So here in Britain the pages of our daily papers pour scorn on benefit scroungers, single mothers and of course immigrants. So while we spit bile at some of the weakest and most vulnerable in society, they can profit hugely from our ignorance about the real issues in this country and the world of corporate corruption, international tax avoidance and immoral banking practices that caused the financial crisis and continue unabated. To combat these issues we must come together to fight for a better world and a better Britain and even just a better local community. Every individual can get out there and join a local activist group or just contribute to the actions of an activist group that they feel passionately about. In our own small way 4 people Not profit will be linking up with the Teesside People’s Assembly to show the film ‘Sell Off’ on February 19th, highlighting the slow erosion of the NHS to make way for a privatised for profit health care system. And in April we will be working with the Teesside Solidarity Movement to put on a gig raising money for the Middlesbrough Socialist Clothing Bank which has just opened to help provide clothes for those which are currently struggling in these harsh economic times. See inside for articles on the great work of Justice First and their promotion of the City Of Sanctuary initiative in The Tees Valley. 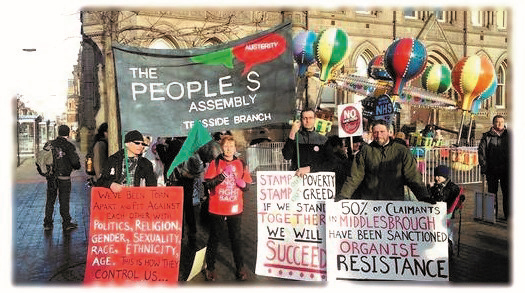 Also see the 2014 review of the tireless work of the Teesside People’s Assembly, and check out the events listings for meetings and events by a range of activist and campaign groups which you could get involved in. A few years ago Sheffield became the very first ‘City of Sanctuary’. The idea was to make the city a more welcoming place for newly arrived ‘seekers of sanctuary’ or more commonly known as ‘asylum seekers’ – those fleeing from persecution and the threat of torture, detention without trial, and often death – and who are seeking a place of safety. The term ‘asylum seeker’ has had some bad press over the years and the term ‘sanctuary’ is seen as a better explanation of why people come to a safe country. 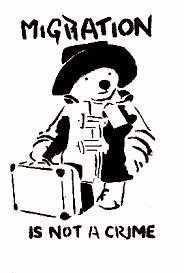 Incidentally, the UK takes many fewer asylum/sanctuary seekers than many other western European countries such as France (twice as many) and Germany (more than 3 times UK numbers). That the CoS is a mainstream grassroots movement building coalitions of organisations from all sectors of society in a given area that makes a public commitment to welcoming people seeking sanctuary and refugees, and fully including them in their activities. Creating opportunities for relationships between local people and those seeking sanctuary. Where local organisations and communities include people seeking sanctuary in their activities, personal relationships will be formed which will lead to greater understanding and support from the host community. City of Sanctuary seeks to influence the political debate on sanctuary indirectly through cultural change, and does not usually engage in political lobbying or anti-deportation campaigns directly. To offer a positive vision of a culture of hospitality for those in need of safety, by encourage communities to take pride in offering a place of safety for people whose lives are threatened, and celebrating their contribution to our towns and cities. The focus of the above principles is on those people who are forced to seek sanctuary rather than voluntary migration or diversity in general. But at the same time the intention is that the process of working for a culture of hospitality will also benefit other migrant groups, as well as host communities. So does this mean that there isn’t a welcoming culture in the Tees Valley? No not at all. I have worked in this field since 1991 in the Tees Valley and I am currently the chair of a hardship fund for people seeking sanctuary/asylum and settled refugees, called the Mary Thompson Fund. I am constantly blown away by the support, kindness and understanding from local people and organisations. There are several organisations setup specifically to support and build friendships with sanctuary seekers and hundreds of organisations and individuals that have supported the fund and other similar initiatives. A Tees Valley of Sanctuary aims to build on the existing magnificent support of local people by bringing everyone together and formalising support by signing up to a pledge to do just a little bit more: be it inviting sanctuary seekers to more events; committing to learning a bit more about people’s previous and current situation; raising more funding as well as awareness of the issues. A fully functioning CoS would typically include pledges signed by the local authorities and other statutory agencies, with CoS streams such as schools for sanctuary, and faith groups for sanctuary. In Newcastle (now there’s somewhere to compete with! ), they have choirs for sanctuary and are developing the idea of book clubs for sanctuary where a book club will welcome and encourage sanctuary seekers to join and to also read more books with a sanctuary/refugee theme. In the Tees Valley the steering group has representatives from all the key refugee-supporting agencies. This avoids any duplication of services or unnecessary competition for funding, and the potential streams of sanctuary include: Musicians, Businesses, Lawyers, as well as Local Authorities and Schools for Sanctuary. Flexibility is built into the whole process so that each city/area moves at its own pace and develops the kind of support and ‘streams’ to suit the local area. The key to be recognised as a CoS is evidence that the three core principles outlined above are being met/exceeded. 2014 has not been a great year for most people living under the austerity regime. Attacks on public services, the welfare state and employment conditions have continued apace, whilst the owners and directors of big business have rewarded themselves still further. This has made the campaign work of Teesside People’s Assembly all the more vital. We cannot provide a lengthy list of spectacular victories, but we have organised a number of actions and worked in solidarity with others to ensure that the austerity agenda has not gone unchallenged, to raise awareness that there is an alternative and to begin building the movement that will be needed for people to believe that change is possible. Stuff Austerity event in Stockton (20 September), featuring live performances by Werbeniuk,Steve Cooke, Icarus Williams and Andy Landscape. Teesside People’s Assembly have also supported and been involved with many other actions over the year that are standing up against Austerity. Several of our actions achieved coverage on regional television and radio and in the local press, as a result of which we were subsequently asked to comment in the media on other austerity issues. We worked closely with a number of campaign, community and labour movement groups, including 999 Call for the NHS, the People’s NHS, Northern Public Services Alliance, Teesside Solidarity Movement, Teesside Palestine Solidarity Campaign, Darlington Against Cuts, trade union branches and, of course, People’s Assembly branches throughout the region. 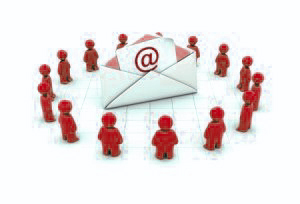 We further developed our website and social media presence (Facebook & Twitter), maintained an electronic mailing list to keep our supporters up to date, published videos of demonstrations on our Youtube channel and released podcast recordings of speeches and debate from our public events. As well as promoting our own actions, our online work sought to raise awareness of, and promote solidarity with, anti-austerity campaigns throughout the country and internationally. We look forward to building on our successes, as well as learning from the things we could have done better, during the coming year. Our Next meeting of 2015 will be held on Tuesday 3rd March at 7.15pm in St Mary’s Centre, Middlesbrough. The agenda will include plans for a national day of action for the NHS and an anti-benefit sanctions demo in Hartlepool. All of our meetings are public, so do please come along and get involved..
Teesside People’s Assembly against Austerity. Teesside Solidarity Movement will be hosting a planning meeting for the forthcoming national day of action called for by Unite Community scheduled for 19 March. Thus far the day of action has been additionally supported by Teesside People’s Assembly Against Austerity. 12 February at 19:00. St. Mary’s Centre, 82-90 Corporation Road, Middlesbrough. Parade, Saltburn. £5 inc buffet, Tickets available from Justice first 01642 601122. Meeting – Tuesday 3rd March at 7.15pm in St Mary’s Centre, 82-90 Corporation Road, Middlesbrough TS1 2RW. Newport Hub, Union Street, Middlesbrough. Monthly meeting’s first Tuesday of every month. Next meeting: Tuesday 3rd March, 7.00pm at the Stockton Arc.